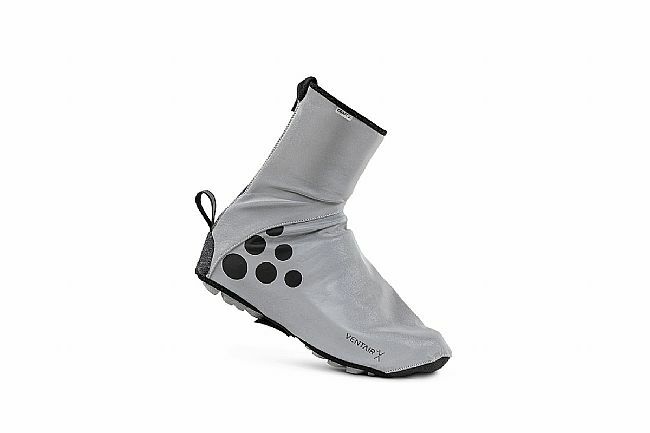 Craft's Glow Bootie is a wind- and waterproof shoe cover with a brushed interior that keeps feet warm. Internal seam taping provides another layer of defense against water infiltration. The elastic neoprene cuffs make them easy to put on and take off. Kevlar reinforcements at the heel and toe enhance durability. Heel & toe Kevlar reinforcement. Like many others, these claim to be waterproof and based on the description I was hopeful. 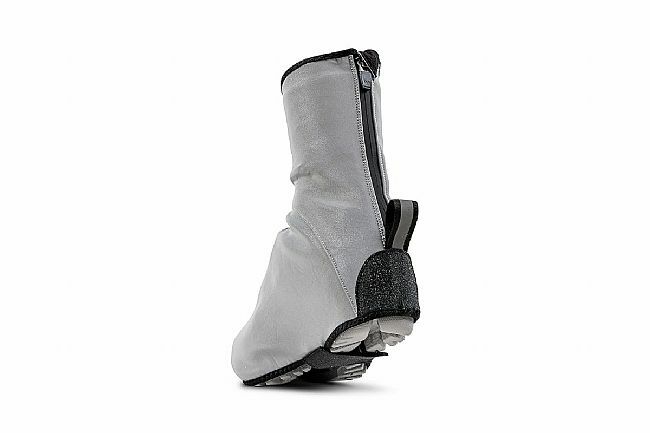 The seams are taped and the waterproof membrane covers the entire inside of the bootie. They also have a snug cuff with an velcro closure. When I first got them I gave them the hose test, I put the booties on over my cycling shoes and sprayed them with a hose for several minutes. No leakage so confidence was high. Then I went out for a 5 hour ride and it rained lightly almost the entire time. For the first hour, my feet stayed dry. However, then I could start to feel some leakage and by two hours into the ride my feet were soaked. The material is thin and does not provide any insulative properties but they did seem to do a decent job of blocking the wind so at least my feet didn't get cold on this 50 degree day. My search for truly waterproof overshoes continues. The reflective material is bright! While the reflectiveness is a very nice bonus i got them for their waterproofness and it has been a game changer. No more cold wet feet on those rainy nasty commutes. looking forward to see how they hold up.